Welcome! At the Stratford School we believe that an experiential education style accelerates knowledge and fuels innovation. We bring together a dynamic community of students, researchers, industry, and entrepreneurs to advance digital media technology and creative application. Daniel Recchia wins Christie® Design Award for the second time and is awarded $2,500 for his projection mapping composition, "Mystic Muse". The Christie® Design Awards kicked off the Project Showcase that featured 45 student projects and welcomed over 30 industry partners and 160 total attendees to the Stratford School of Interaction Design and Business on April 2. 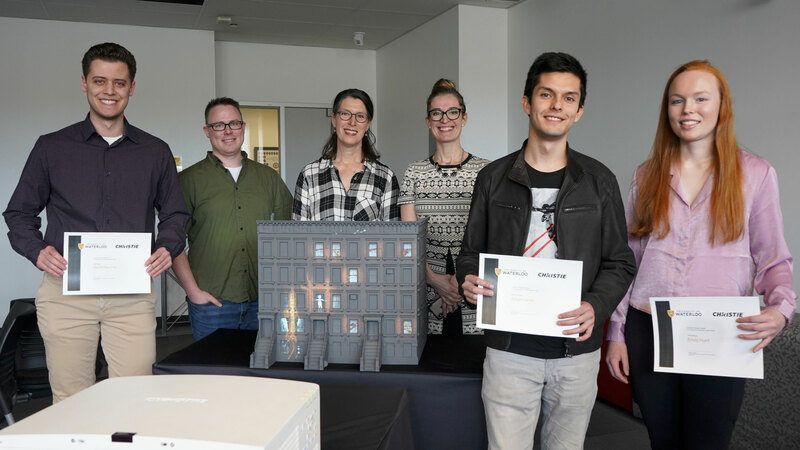 Global Business and Digital Arts student Victoria Vandenberg achieved 2nd place at the annual Communitech Code/Design to Win challenge held in Kitchener this past weekend. 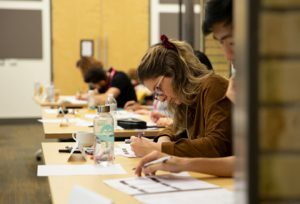 Vandenberg and 5 other students from the Stratford School of Interaction Design and Business were among the top 25 finalists selected from 258 designers that participated in the preliminary on-campus challenges. The power of artificial intelligence is already permeating throughout our work and social lives. But as artificial intelligence (AI) systems “learn” from millions of interactions or case examples, it also has the potential to be disruptive, said experts from the University of Waterloo during a panel discussion on ‘Keeping the Human in AI’ at the Kitchener Public Library last week.